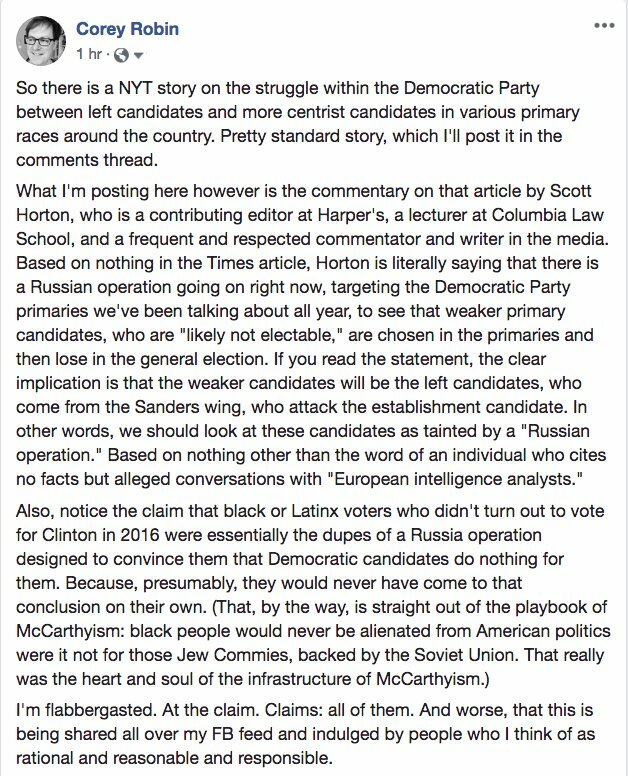 Below is the (unsearchable) text of Scott Horton's screed (originally on Facebook), from Doug Henwood's twitter. 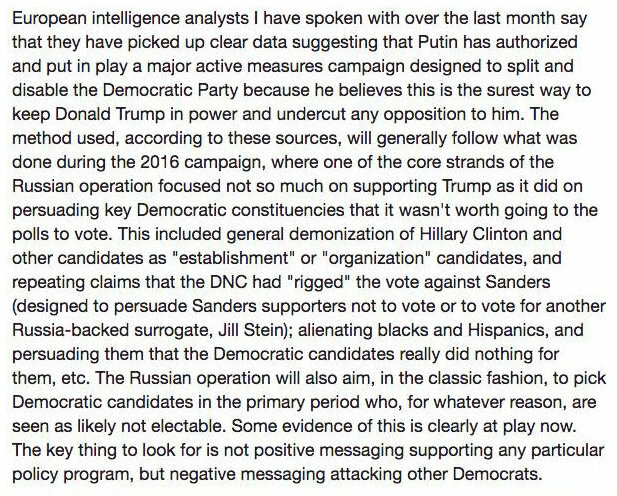 It's so unfactual and paranoid one might wonder if it's fake. FYI, there are two Scott Hortons. The one above appears to be the Harper's Scott Horton, not the libertarian producer of the Scott Horton Show.